You’ll find a myriad of activities to do here. Prawning (sitting around little man-made ponds fishing for prawns), eating, or just strolling around the entire area, made known by the famous Bottle tree and other exotic plants imported from Australia reportedly worth more than a whooping $100,000. 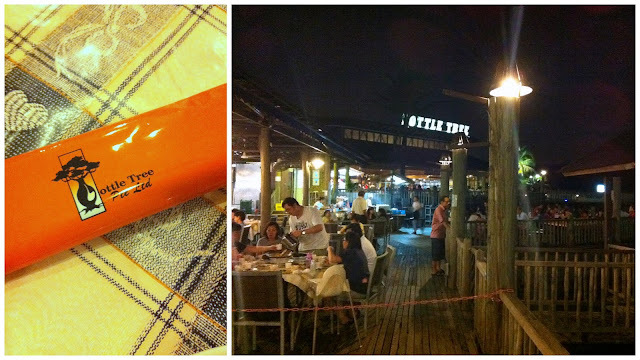 My uncle booked a table at the Bottle Tree Park Seafood Restaurant (Bottle Tree Park, Yishun) when the relatives from HK were in town. 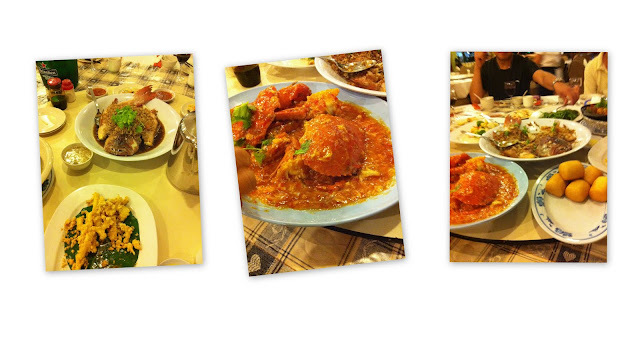 Dinner was a mouthwatering spread of seafood. Despite cries of “too much! !” we wiped out pretty much everything, including those calorific fried mantous. Although hailed to be a uniquely Singaporean dish, I rarely eat Chilli crabs. 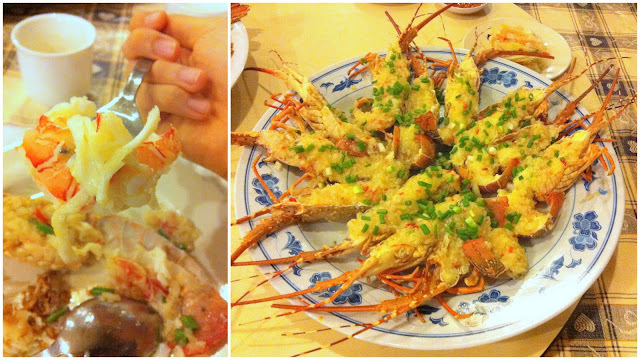 In fact, I had more of pepper crabs as compared to chilli crabs, which I’ve eaten maybe twice or thrice in my life? The rendition here is pretty good: sweet, salty, a weak punch of spiciness, and just the right amount of acidity that urges you reach for another mantou to wipe up the sauce. But the most memorable would be those steamed baby lobsters. A must-try! 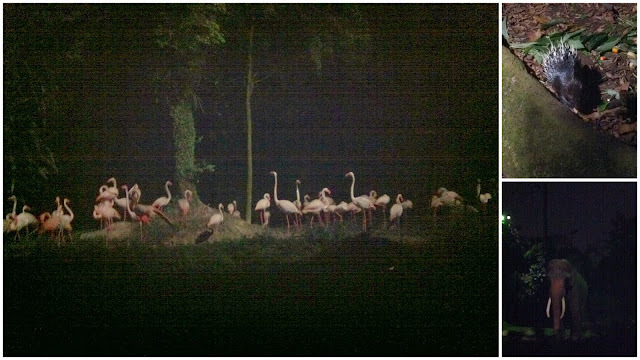 Though it was running late the parents insisted that the relatives had to visit the Night Safari. The great thing is this place opens till 12.30 at night. So If you are trying to squeeze lots of things in your itinerary, this is one place you can go to fully maximise your time. Do note however, that tram rides end at 11. 15pm thereabouts ( but they have extra trams coming to make sure everyone leaves the first stop, no worries). It was quite an adventure, walking around the trails in darkness (okay I exaggerate, it’s dim not totally dark).